Martin Roll was interviewed by Money Today (Korea) about the future of Korean brands and what is required by Korean firms to build and sustain global brands. Korea has built a few very impressive globally recognized brands over the last years including Samsung, LG, Hyundai, CJ, Amorepacific and several others. The potential for Korea is much bigger though, and the future focus for Korean businesses should be on the management mindset, innovation and marketing. The CEOS and management teams from Korea have a great untapped opportunity to build and sustain strong global brands, but it requires them to step up to the challenge and take bold, daring decisions. 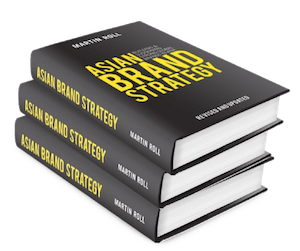 Asian Brand Strategy provides key insights and knowledge about the rising Asian brands incl. model frameworks, brand cases and checklists on Asian branding. Download sample chapter.